Mix the first six ingredients together. Place the flakes in a mixing bowl and pour mix over. Stir to combine. Preheat oven to 325°. Spread flake evenly on a large cookie sheet and bake for 25 minutes, stirring and spreading every 7 minutes. Remove from the oven and place in a mixing bowl. 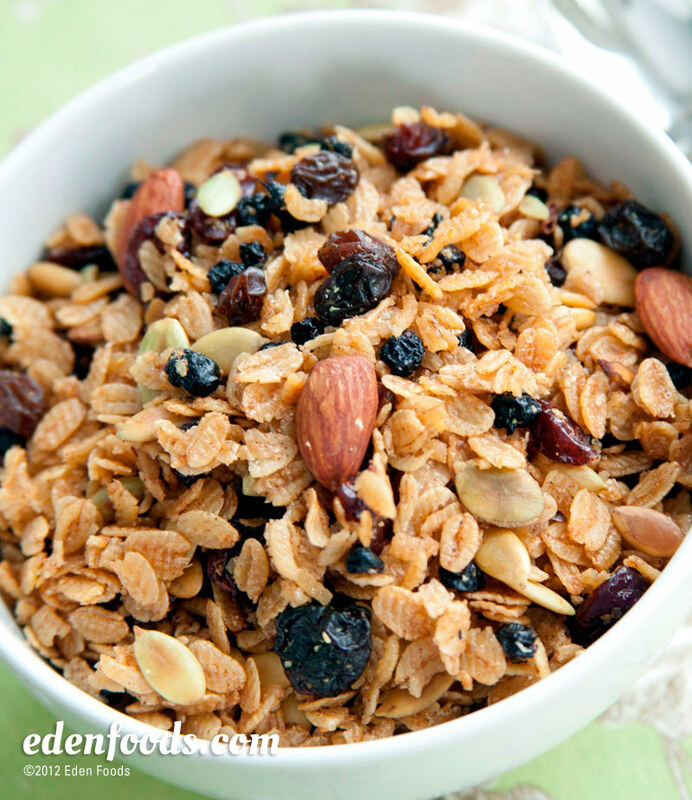 Add the dried fruit and snack mix, and mix thoroughly. Allow to cool completely before placing in a tightly sealed glass jar or air tight container. Makes 5 cups; recipe can be doubled or tripled if desired.